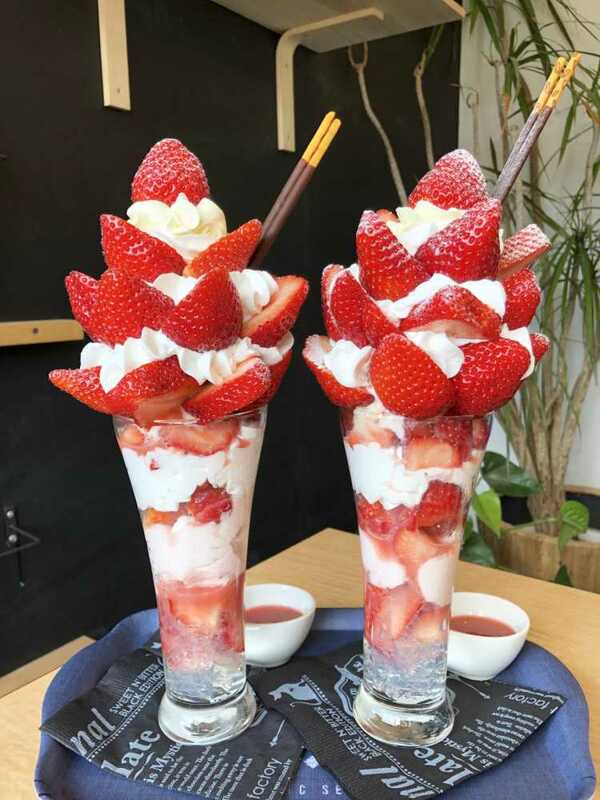 This parfait has as many as one-pack of strawberries that are freshly picked, and as tall as 30 centimeters. Each strawberry is 5 or 6 centimeters and has good sweetness. We can enjoy strawberry in its best season so much. They offer this parfait while stocks last, so you can check it on their Facebook.